Tourism in Kibbutz Tzuba Kibbutz Tzuba Suite Hotel has outstanding accommodation in 64 spacious suites each provided with a private patio overlooking the vineyards and the surrounding Judean Hills. Leisure time may be enjoyed on tennis courts, a swimming pool (in season), and hikes to the vicinity. Your stay includes meals, the use of a fully equipped state of the arts lecture hall and conference center, and a beautiful reception area with a coffee shop where small meals or snacks are available. Additional guided tours may be arranged to further enhance the day, with an unforgettable visit to the Crusader Belmont Castle, the underground springs of Ein Tzuba, and the First Temple Period burial caves of Bamat ha-sela and the new archeological attraction The Cave of John the Baptist. Check-in and use of hotel facilities mid-week: from 3:00 p.m. Check-out mid-week by 11:00 A.M, on Saturdays and holidays until 4:00 P.M.
A country hotel, overlooking the scenic view of the Jerusalem Hills, providing 64 beautiful and spacious suites that can comfortably accommodate any arrangement of guests up to a family of five! Suites include a kitchenette, full bath, balcony, two television sets, telephone, and WIFI Internet connection. Upon request, suitable rooms are available for our physically challenged guests. Kibbutz Tzuba, 20 minutes from Jerusalem, 40 minutes from Tel Aviv, On the No.1 Highway take a right at Mevasseret Tzion turnoff. Continue 4 Km till the Sataf circle. then take a right again to road 395. 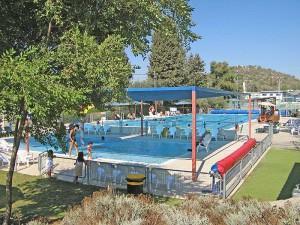 After 2Km you will arrive at Kibbutz Tzuba. "This is a very beautiful, peaceful location. 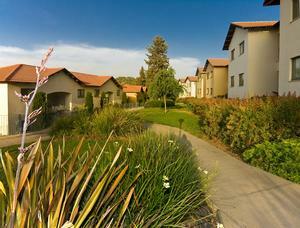 Users need to remember that it is a kibbutz hotel,..."